A Planned search of the environs of Tralee was carried out by Civil Defence on Sunday 4thSeptember from 8am until 6pm with 30 volunteers from Kerry Civil Defence search teams supported by Dogs from Laois Civil Defence and Drone support from Clare, Galway and South Cork. Kerry Civil Defence Welfare Unit provided food throughout the day. 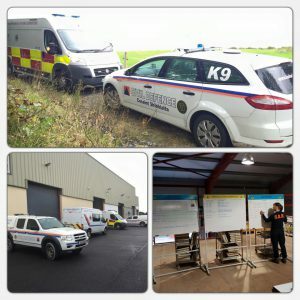 Further searches are planned for 7th & 8th September.